Many years ago I saw first hand the power of rattling. 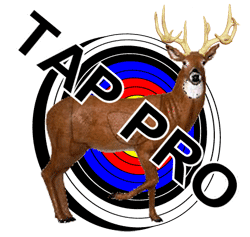 I had read many articles on how and when to use rattling to attract bucks. Not having access to real antlers I purchased a rattle bag. That first year of rattling the bag, taught me a lot. The first thing it taught me was that a bag can not compete with a real rack. As I sat in my stand on the edge of a corn stubble field, two of the largest bucks I had ever seen walked out about 350 yards away. I grab my bag and smacked it and ground away. I added in some grunts to no avail. The two ignored me completely. Then off in the distance, I hear the crash and rattle of antlers. Through my binoculars I see a couple of hunters on the adjacent property using real antlers. 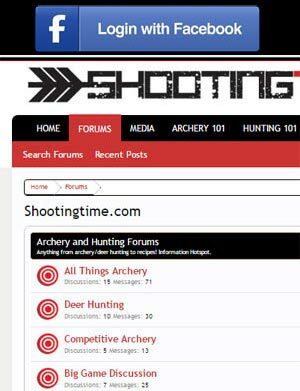 The two bucks immediately alerted. A second barrage of rattling and the two bucks started to make a bee line to the other hunters. As they got closer I rattled as well and never even got so much as a look from the two as they passed at 80 yards. My mind was set I needed real antlers. By the next season I had a nice set of sheds. I used them for years with mixed results. Then one day in the stand I clashed my antlers together and a large sharp piece chipped off, hitting my face very close to my eye. I had known from day one that little pieces antler would break off when I clashed them together, but it took until that moment for the danger to sink in. Fearing eye injury, I decided to switch to synthetic antlers. I purchased a set that looked like a real set antlers. They served me well for years. The sound was not as sharp as the real thing, so I was left to wonder if the deer were getting fooled or not. Some days deer would come to investigate the rattling, some days not. Then packing up from a night of hunting I thoughtlessly tossed my antlers into the back of my truck, they were never to be seen again. I immediately started to shop for replacements online. I decided to purchase the Flextone Black Rack, which brings me to my review. The Flextone Black Rack is a compact set of rattling antlers, not much larger than the antler set I replaced. Flextone uses “Bone Core Technology” to reproduce the tones of real antlers. The tines on top and bottom are claimed to help create a more realistic fighting sound. The first clash of the rack brought my knuckles together. Remembering that I was used to the offset handles on my old set, I changed my angle a bit so only the top half clashed. The sound was very sharp, loud and extremely realistic. While I had the whole rack together all I had to do was a slight twist of the wrist and the sound of battling antlers was created. It took little to no effort to reproduce the sounds of an entire battle and was much easier than a set of regular antlers. 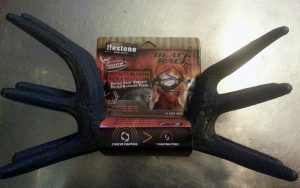 I was very pleased with the ease of use and sounds created by the Flextone Black Rack rattling antlers. I can’t wait to get to use these in the field again because the Flextone Black Rack may be the difference I’ve been looking for. One thing I did notice was that after playing with the rack for a while was an odor coming off the rack. The smell was of a vulcanized chemical of some sort…… hopefully it will go away with time and cover scent. I give the Flextone Black Rack a score of 85/100. For more information on visit the manufacturer’s website here.